Going Home Outfit Girl - for Newborns and up to 24 months sizing. 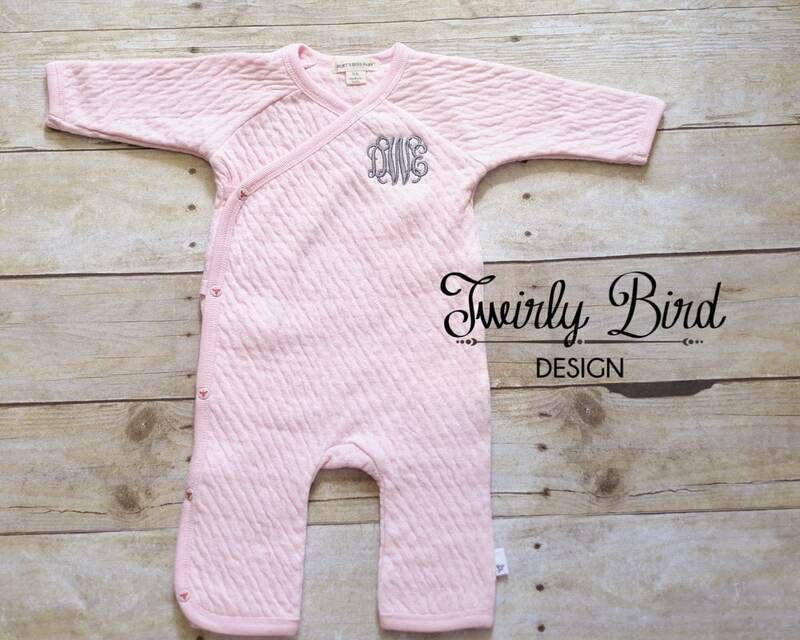 Your precious little one can snuggle up in this Organic Cotton Footless Coverall. 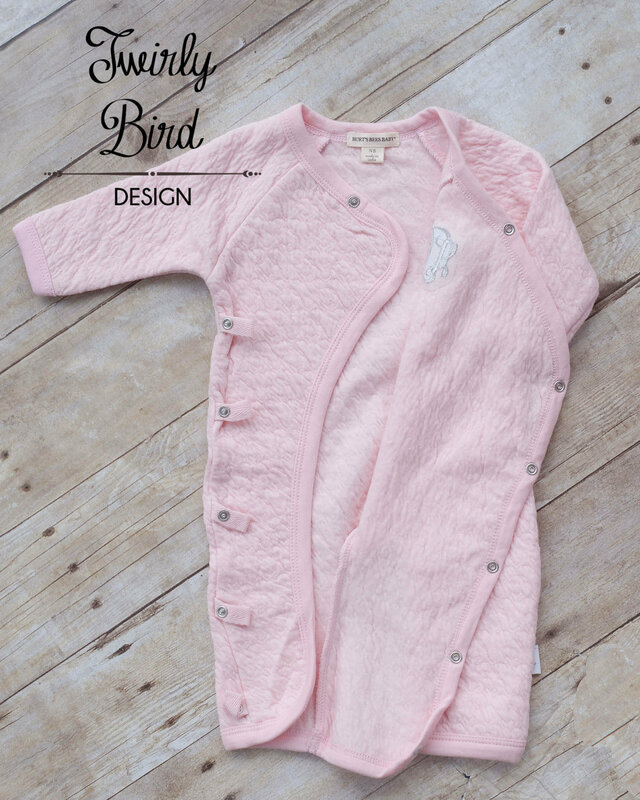 The Kimono Style Wrap with Snap Button Closures make it so easy to wrap your newborn up in softness and the Quilted Cotton will keep your baby warm and snuggly! Makes a perfect baby shower gift! Contact me for other customization options. 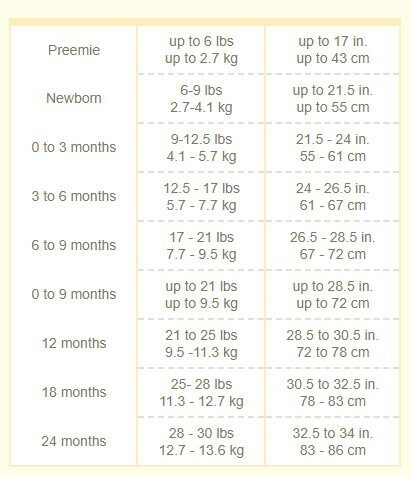 When you check out there will be a section to add notes - please list the baby's initials for the monogram. Traditionally the monogram will be: small first name initial, large last name initial, small middle name initial. Unless you request otherwise the monogram will be done this way using the font shown in the pictures.